After all those years of work, head scratching and sanding, the FAA finally blesses your creation with their coveted pink Airworthiness Certificate. While the inspector shakes your hand, you can see his mouth moving but the only thing going through your mind is "It's finally time to see what this bad boy will do." If you are like most long term builders, however, you may not have had as much recent flight time as you would like. It may have been a year or two since that 20 minute check ride you had at a QBA fly-in, as well. You might even be a "low time" pilot, to say nothing about performing a test flight program on an unproven plane. Yes, the FAA agreed your plane looks airworthy and ready for flight testing, but are you? 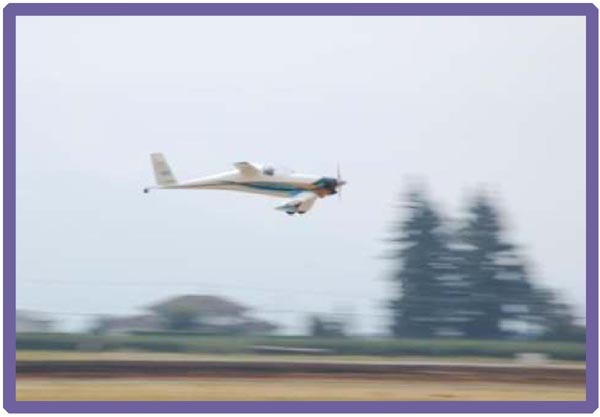 Beyond the FAA, the EAA and QBA offer services that can help prepare you for successfully testing flying your Quickie. One important step is to locate a qualified EAA Flight Advisor. By qualified, I mean someone familiar and experienced in type or at least "fast glass" canard homebuilts. For example, QBA member Bob Farnum is also an EAA Flight Advisor and is willing to take the time to do some realistic evaluations of you and your flight experience. As their name implies, they are there to "advise" you, not tell you what to do. They have traveled down the path before you and know where the jagged rocks are located. If you only tell them what you think they want to hear, they will not be able to guide you in the right direction. Honesty is important because once you break ground, "BS" is meaningless. While the flight advisor program is a free service to EAA members, do not expect them to foot the bill for a 3 hour long distance phone call or other major expenses. Take care of your advisor. After all, they are taking care of you. The QBA has many experienced builder/pilots who are uniquely qualified to give you very specific guidance, insights and (if you are very fortunate) flight experience. Contact the QBA newsletter editor to locate potential "Flight Mentors" in your area. Or better yet, attend QBA fly-ins and get to know the pilots yourself. Remember, they are the "experts" and you are the student. Be ready to listen to what they have to tell you. Do not try to impress them or argue with them based on what you "figured out" on your own. The worst thing you can do is sound like a "know it all" and turn off the expert. That may prevent you from gaining information that is critical to know. Remember, they are already doing what you want to do, so that puts them higher on the food chain. You need to respect that. The reason I mention this is because I have seen too many guys over the years sabotage a chance to gain real insights by wanting to profess their knowledge rather than to listen and learn from others. The smaller QBA fly-ins often offers a great opportunity for you to get some stick time. This is extremely important because it will help you visualize what you will be doing on your test flights in a safe environment. Ask your pilot to go through a pitch buck so you will get an idea of what that feels like. Also ask them to talk you through the visual clues and speeds used when they take off and land. Perhaps they will let you fly some approaches and then let them take over on short final to show how the landing sequence is completed. Remember, if you are lucky enough to have this experience, just like with your flight advisors, take care of your QBA Flight Mentors as well. You can order a printed copy of Q-talk #120 by using the Q-talk Back Issue Order Page.